If you fancy learning to drive in the brand new Ford Focus then you’ll be pleased to hear that the AA is to add more than 1,650 of them to its driving school fleet. 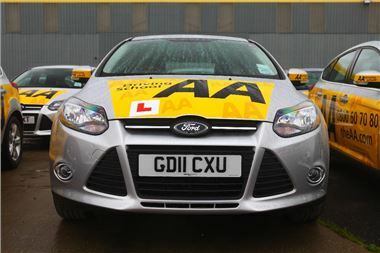 The AA Driving School already uses the Ford Fiesta in it’s fleet of 2,200 cars. All of the Focuses will be added to the AA fleet by the end of January 2012. If you're learning to drive then join our younger drivers page on Facebook. If you share your experiences, funny stories, worries and triumphs on the Facebook wall you could win a prize.